Tips for unforgettable excursions! The Rhaetian Railway passes thorugh the region's most beautiful hiking areas, and offers a variety of special deals for walkers. These are available along the length of the Bernina and Albula lines. 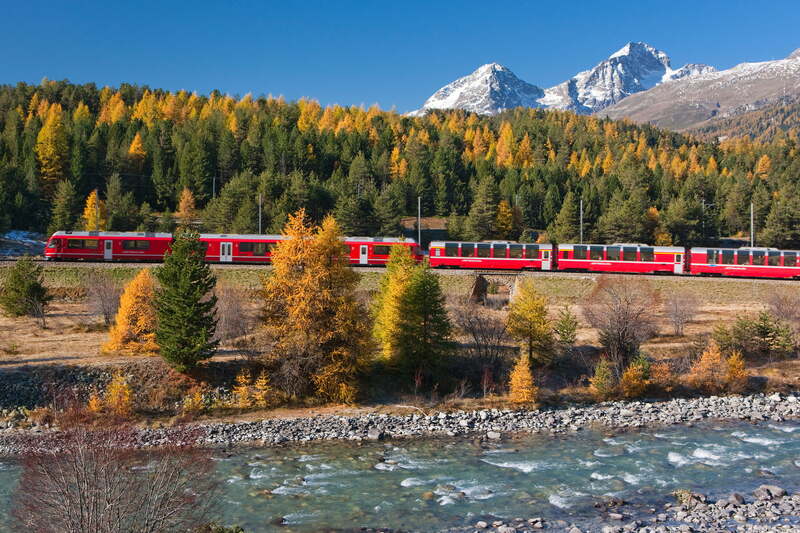 With the Rhaetian Railway, you can explore the gastronomy as well as the landscape of Graubünden. The Gourmet Train carries you through a stunning landscape - over viaducts, through tunnels, past lakes - from one gastronomic treat to the next. Experience the Via Albula/Bernina hiking trail from the comfort of your own home.